What You Want - Where You Want It - When You Want It. Click here to check out Hanna Trailer Supply from the sky! It's RV season. Shop accessories! Where You Say It Is. If they think personal days are for errands and TV binging, just tell them you'll be gone. You can't make them understand. Shop campers, snowmobile trailers, and RV parts for motorhomes, travel trailers, fifth wheels, and pop ups. Your Ultimate Parts And Accessories Resource Online! For additional information on our policies, including: Payments, Shipping, Tracking, Returns, Refunds and Privacy, please visit the Policies Page. Hanna Trailer Supply presents an amazing sale on ADCO RV Covers to winterize your motor home, RV or travel trailer during the Winter storage season. Purchasing an easy to install ADCO RV Cover is a great way to provide your RV with superior protection from the elements while not in use. 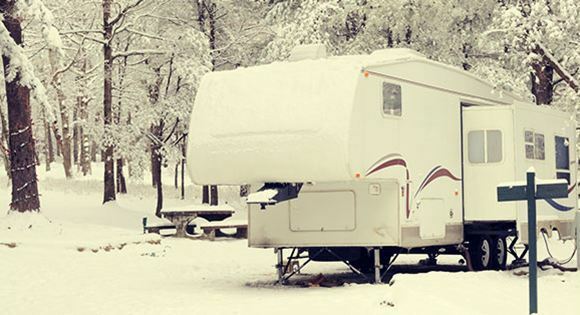 Check out our line of RV Winterization Products! Enjoy special markdown pricing and fast shipping on all top quality ADCO RV Covers going on now! Hanna Trailer Supply’s ADCO Cover Sale features savings up to 22% on Class A RV Covers and Class C Motorhome Covers. Check out the best selection of ADCO RV Covers available at Hanna Trailer Supply and take advantage of unbeatable savings and fast shipping today. Hanna Trailer Supply is a full service RV and utility trailer distribution and repair company offering quality RVs and trailers, trailer parts, and trailer repairs in Southeastern Wisconsin and Northern Illinois. 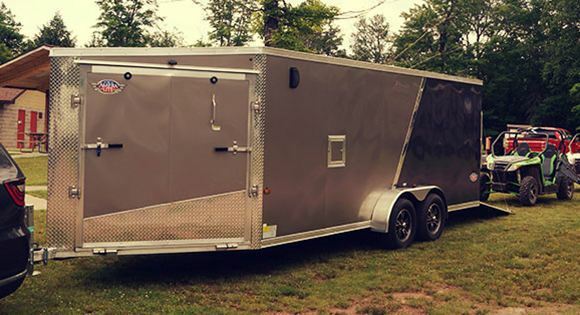 With a complete trailer parts and service department and an extensive inventory of top-brand trailers, Hanna Trailers Supply in Wisconsin has all your trailer needs covered. 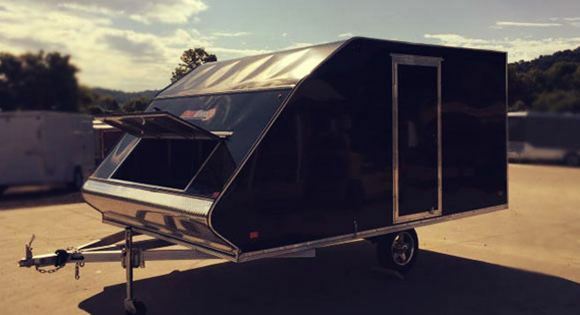 From utility trailer repairs to pop-up camper rentals, choose Hanna Trailer Supply for all your hauling, motorhome and camping needs. The 2014 print edition of the Hanna Trailer Supply RV Parts And Accessories Catalog is no longer available for purchase. Starting in 2015, all of the listings for the thousands of products that are currently available can be found on HannaRV.com, our website catalog. Products ranging from replacement parts to camping gear to accessories and gadgets, designed for use with RVs, motorhomes, travel trailers, pop-up or tent campers, fifth wheel campers and toyhaulers can now be purchased easily online with just a few clicks. Hanna Trailer Supply is your source for year round protection for your motorhome. Choose from a large variety of quality ADCO RV covers, trailer covers, and camper covers to keep your RV in optimal condition throughout the seasons. Protect your investment with the best RV covers on the market, available online at Hanna Trailer Supply. Check out our RV covers section for a complete list of quality RV maintenance parts to protect your RV from sun, moisture, dust and debris. Experience the benefits of covering your RV year round with RV covers and RV accessory covers from Hanna Trailer Supply. Choose from quality Tyvek RV covers, ADCO RV Covers, Class C RV covers, Class A RV Covers, motor home covers, travel trailer covers, fifth wheel trailer covers, and pop up tent camper covers to guard your vehicle. Shop our selection of quality RV Covers online. Get ready for winter hauling. Hanna Trailer Supply offers a large selection of quality snowmobile trailer parts and snowmobile trailer accessories like snowmobile tow ropes to make loading your snowmobile on your utility trailer both safe and easy. Shop our extensive line of snowmobile trailer parts and accessories online. 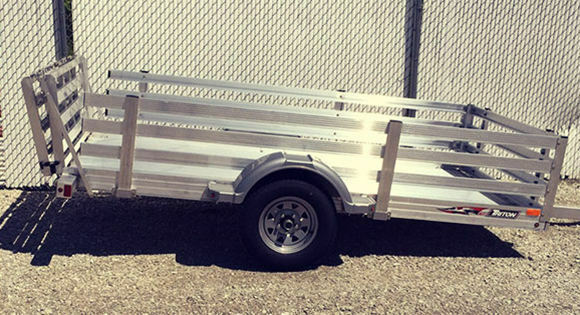 With ramp gates for easy loading and durable side rails for stability, our variety of utility trailers are ideal for transporting heavy equipment. 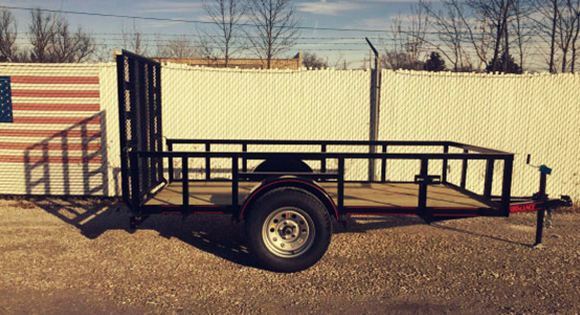 Find utility trailers of all sizes and styles available at our Oak Creek location, between Milwaukee and Racine. Hanna Trailer Supply is Milwaukee’s motorhome and trailer repair specialist. 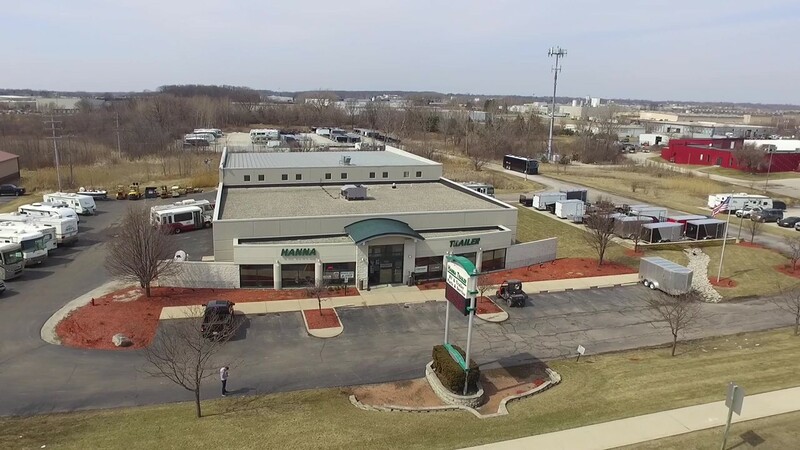 With the largest in stock RV and trailer parts showroom in Wisconsin, Hanna Trailer Supply offers thousands of the most popular RV and travel and utility trailer parts and accessories. If you don’t see the specific trailer part you are looking for, our trailer parts specialist can assist in ordering the part and have it shipped directly to your location. Hanna Trailer Supply offers quality Chicago trailer and fleet vehicle repair and inspection ensuring your equipment is roadworthy. Our experienced Milwaukee trailer repair technicians service all makes and models of RV vehicles and recreational and utility trailers. Our trailer repair experts are qualified to service all systems in your RV, including plumbing, electrical, furnace, and satellite systems. We provide all facets of chassis, body, and maintenance services for RVs and travel trailers providing you with quality Milwaukee trailer inspection and trailer repair service you can trust. Our fleet vehicle repair specialists are qualified to service Para-transit, shuttle vans, shuttle buses, limousines, vans, cars, and other fleet vehicles. Call or stop by our Oak Creek trailer showroom to speak with an RV and trailer specialist about trailer repair or inspection services suitable to your needs. Hanna Trailer Supply is a leader in Milwaukee trailer rental and trailer sales throughout Southeast Wisconsin and Northern Illinois. We have a large selection of quality new and used brand name Chicago RVs, motorhomes, and travel and utility trailers. 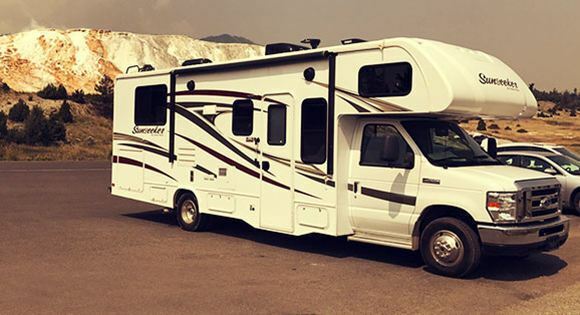 From Ultra-Lite Crossover travel trailers and Starcraft pop-up campers to enclosed cargo and fifth wheel trailers, Hanna Trailer Supply’s trailer sales and rental services provide a vacation or hauling solution for you. Hanna Trailer Supply specializes in Milwaukee snow plow and salter sales and service. Our extensive Chicago snow plow and salter inventory features SnowDogg plows and SaltDogg salters accommodating different sizes of vehicles and snow removal jobs. Whether you’re looking for the right snow plow to start a snow removal business, or need a walk behind or truck-mounted salter for personal use, Hanna Trailer Supply offers a variety of equipment for effective snow removal. Hanna Trailer Supply houses the largest snow plow parts and salter parts inventory in Southeastern Wisconsin and Northern Illinois. We offer quality name brand snow plow and salter repair parts for all major manufacturers of plows and salters, including Boss, Meyer, Blizzard, Fisher, Western, Sno Way, Diamond and SnowDogg/SaltDogg to keep your snow removal equipment operating for winters to come. Our experienced snow plow and salter repair technicians provide quality repairs, installation, part replacement and inspection services making long-lasting use of your snow removal equipment a reality. Hanna Trailer Supply Full Service Center has the snowplow and salter experts to walk you through each step of the process from sales of a new plow or salter, installation, repair and maintenance. And don't forget to replace your old hoses, trip springs moldboards and get ready for the season with a hydraulic fluid change! When your LP gas tank is running low, bring it to Hanna Trailer Supply for a propane refill. Customers from all over the greater Milwaukee area have been choosing to refill LP tanks at Hanna RV and Trailer store for years. 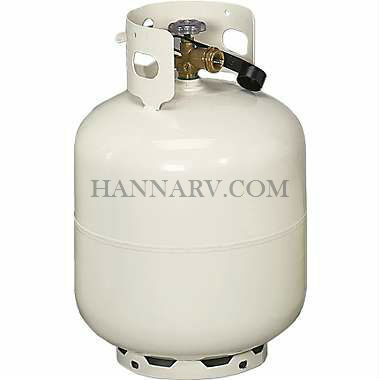 We can refill the propane tanks for your gas grill, RV and camper propane tanks, forklift propane tanks and DOT motorhome cylinders. Visit Hanna Trailer Supply, Oak Creek, WI and you will find our propane fill station located next to the southeast corner of the building. Propane or LP gas refills are priced by the gallon, and are available during regular business hours Monday through Friday and Saturdays before 12pm. See just how much you can save by purchasing LP gas by the gallon instead of purchasing through a propane tank exchange. Often times when you exchange a tank, the tank you receive is not completely full. But, when you bring your LP tank to Hanna RV for a refill, you pay for only the amount we pump into the tank, which will save you money and guarantee a more complete refill. Visit us and ask a member of our friendly staff to top off your propane tank today! This snow season, HannaRV.com is proud to announce the launch of some exciting new product categories, with quality repair and replacement parts for snowplows, salt spreaders, ATV plow and salters, and our new snowmobile parts outlet. Feel free to browse our new product lines and purchase easily online with free shipping. Expedited shipping is available for a fee if you need the part right away. Shop Hanna Trailer Supply and get your snow and ice removal equipment ready before the next Winter storm or get your snowmobile all tuned up and ready for the trails. Click the following links for Winter snow season products: ATV Parts Outlet, Snowmobile Parts Outlet, Snowplow Parts and Accessories or Salter Parts and Accessories. Hanna Trailer Supply is the leader in Wisconsin RV and utility trailer parts, repair, sales and rental. Shop the Best RV covers, trailer covers, air conditioners, generators, and more RV, motorhome and trailer parts and accessories. Stop and tour Wisconsin’s largest RV and utility trailer parts showroom located in Oak Creek, or call Hanna Trailer Supply at 414-762-7950 to speak to an experienced Milwaukee trailer specialist about an RV or travel and utility trailer solution for you. © Copyright 2019 Hanna RV & Trailer Supply Company.